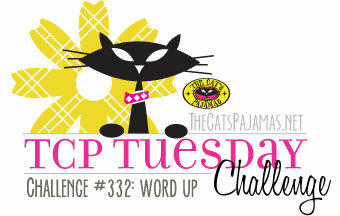 It's time for another TCP Tuesday and this challenge is all about words. 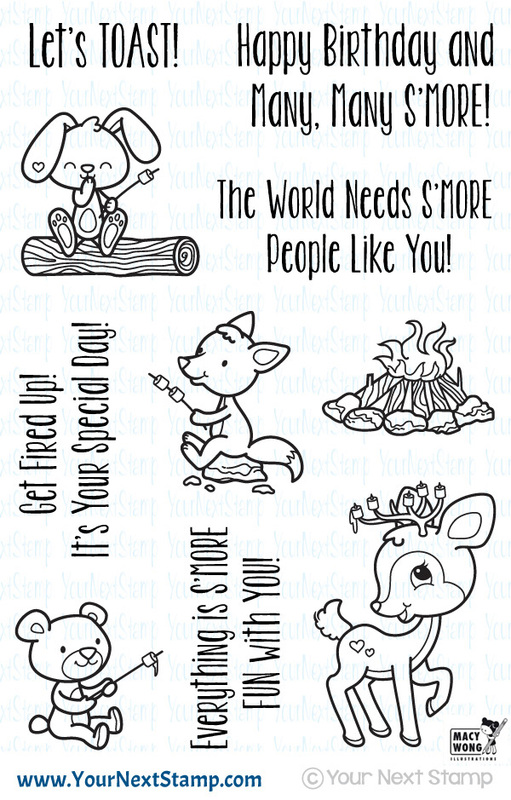 The TCP Store has so many wonderful word dies that this challenge is perfect to showcase them. 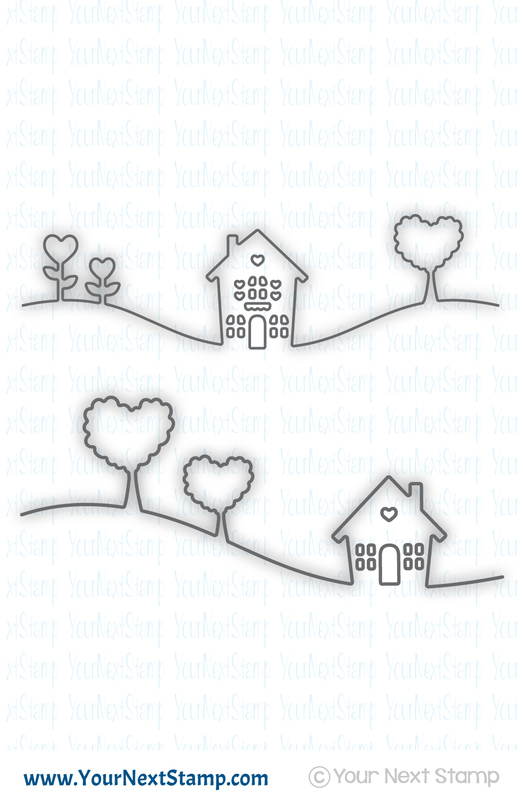 For my card, I am using the 'Sending' die and the Words of Love stamp set. I completed the look by adding some drops of Nuvo drops and a few sequins throughout. There is two weeks for you to come play along and add your link to the TCP blog. You will have a chance to win a gift certificate to the TCP Store! Thanks so much for stopping by and hope you have a great day! 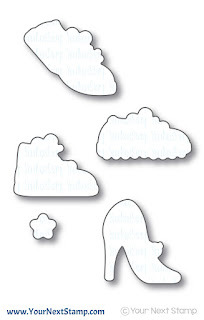 Today is feature day with Your Next Stamp and the focus is on texture. I have created a card using some heat embossing elements and the new clear gumdrops. Using the newly released set of What Not Sentiments 8, I clear embossed a few of the words throughout the card base and then using some Distress Inks, I sponged a few different colors throughout giving it a very colorful background. Some black embossing was used on a piece of vellum for the 'you are' sentiment which I attached to the side of the card. It was then finished with some new clear gumdrops and purple rhinestones. 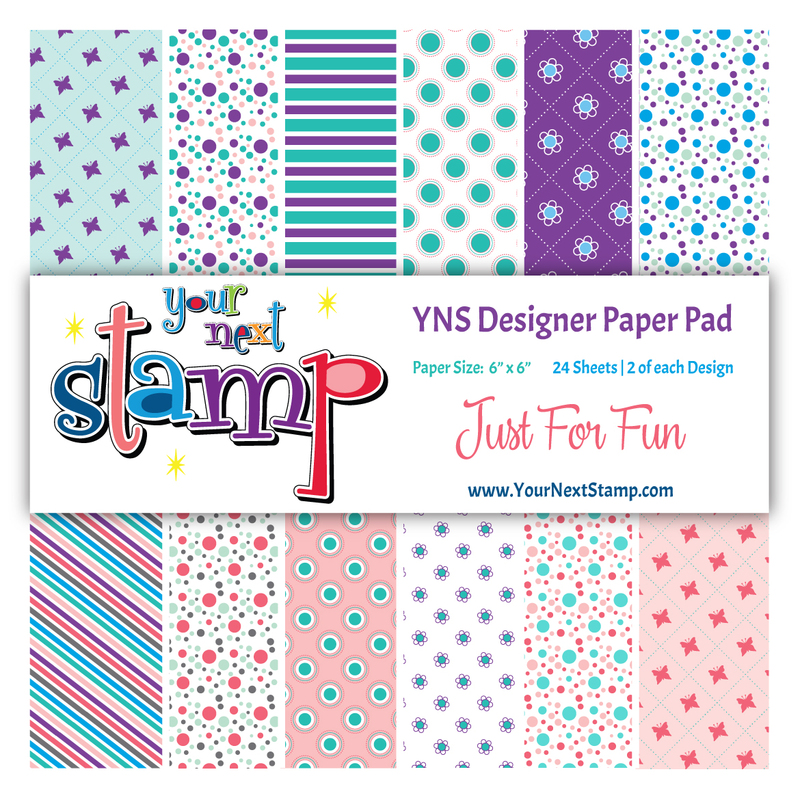 Be sure to check out all the fun projects on the YNS Blog where you can leave a little love and have a chance to win a stamp set of your choice! Thanks so much for stopping by and have a great Wednesday! It's a new challenge over at The Cat's Pajamas! It's all about Happy Mail. Who doesn't like that? 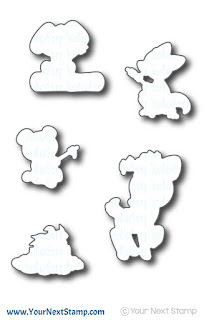 There are many stamp sets with TCP that can fulfill the happiness in someone's mailbox. I am using the set of Besties to create this card. Being a military spouse, I find this statement to be so true. I have traveled long and far to see friends I enjoy spending time with and being able to keep the connection between many friends I have made over the years. The image was stamped and colored with Copics. I partially cut the top of the image from the center panel for a little extra dimension before adding a few Stitched Clouds Cut Ups and the sun from County Fair Cut Ups. A few rhinestones for some bling finished it off. We hope you play along with us and upload your project to the TCP Blog for your chance to win a $15 gift certificate to the TCP store! Thanks so much for popping in! Have a great Tuesday. 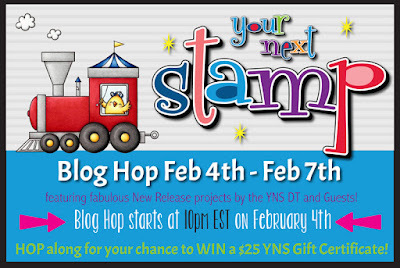 The day is here for the February release with Your Next Stamp! 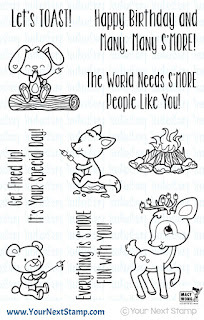 There is so much goodness coming from this release with super fun stamps, dies, and paper! Speaking of dies, wait until you see the beautiful Butterfly Box in this hop that will make for perfect favors this spring and summer! For my first card, I am using the S'more Fun set and coordinating dies. 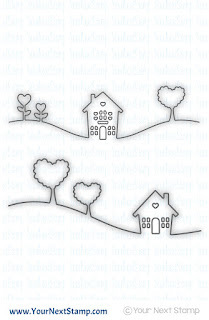 The Heart Home border die was used for the background scene. The images were stamped and colored in with Copics before being popped up over the green panel. I changed the color of the home by cutting out that bit in yellow. The sentiment was stamped directly onto the main panel while the fire and marshmallows were finished off with some Wink of Stella for added sparkle. This set is just so much fun and many gifty ideas that it can be used for. My second card is using the Sports Fanantics Shoeper Awesome set. 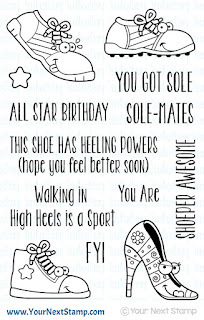 Hee hee... Shoeper.. That makes me giggle. I love the name for this set. 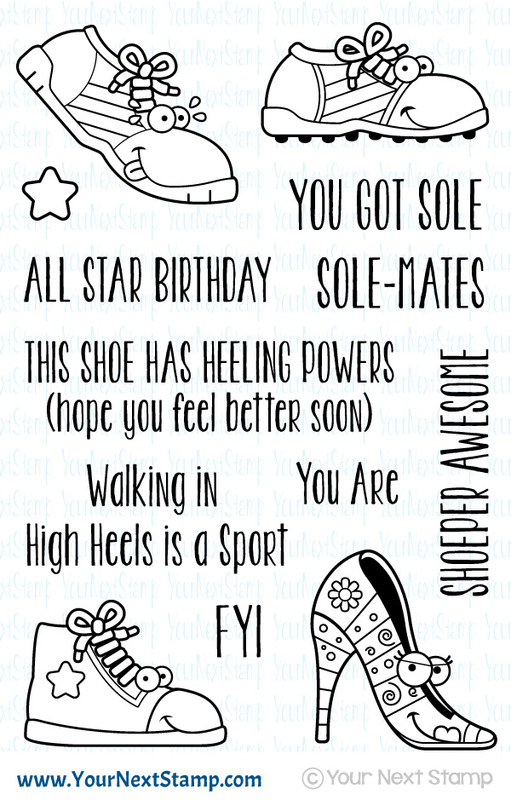 I created a fairly CAS card that can be used for a boy including some of the new Just for Fun YNS Papers. For the bottom scallop border, I used the Scallop Star Edge die and added some yellow card stock to the back for color. The shoe was colored in with Copics and popped up over the center panel. No new release with YNS goes without an awesome deal so that you can get everything on your list that you want. Karen is giving you 20% OFF YOUR ENTIRE PURCHASE!! Don't miss out! Be sure to leave a little love as you hop along for your chance to win a $25 gift certificate to the YNS Store. Thanks for hopping in and have a great weekend! 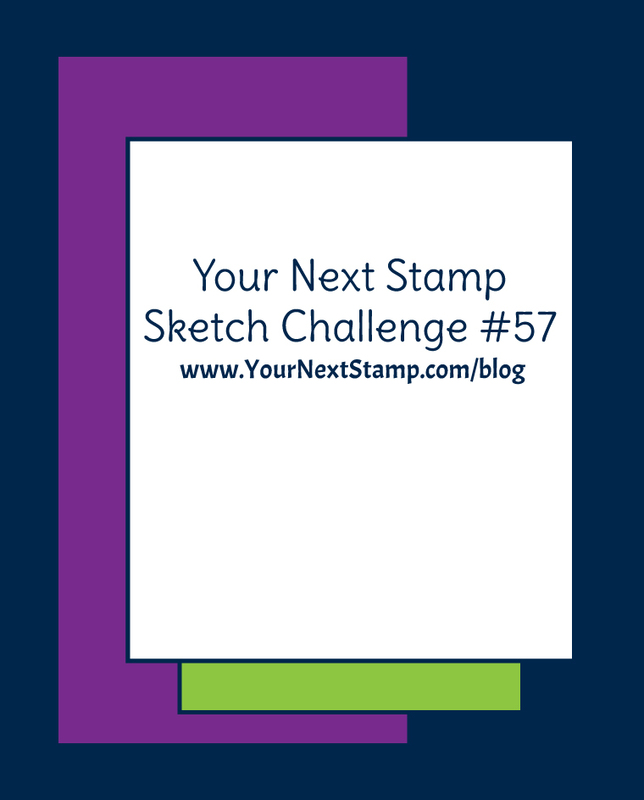 Have you played along with the Your Next Stamp Sketch and/or Color challenge? 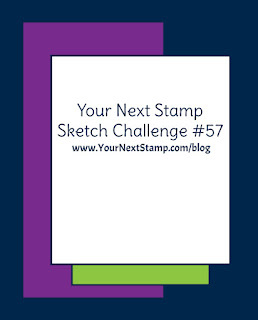 You still have time to upload your creation to the YNS Blog for your chance to win a YNS store gift certificate. For my card, I created one using the sketch and a set that is unfortunately retired and now out of stock. 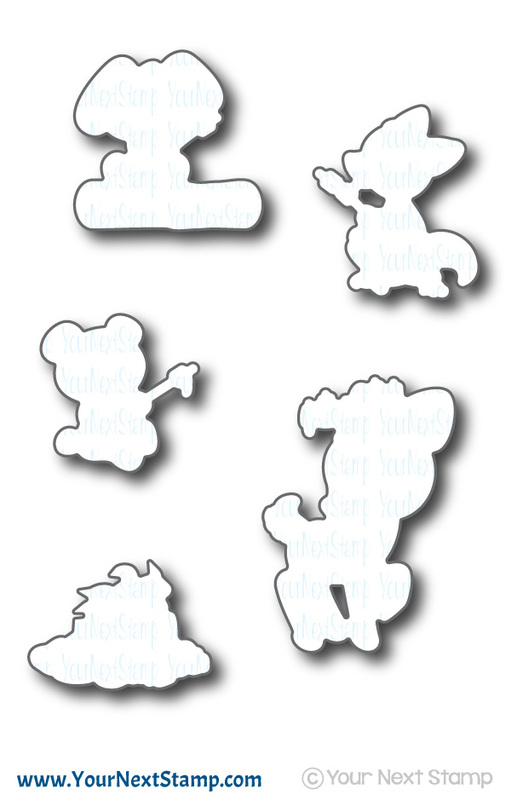 This set is Quirky Animals 5. I colored the image with Copics and cut it out using the coordinating die set. The patterned papers are from Studio G and I popped up the image over the main panel. The card was completed with some ribbon and the sentiment on a flag. Thanks for popping in and don't forget to stop at the YNS Blog to see the other fab creations the DT has made. Also, mark your calendars for tomorrow... it new release time and tomorrow are the sneak peeks!! Have a great Friday!